Sage recently announced the release and availability of Sage 300 Version 2017. Let’s take a look at some of the most important changes and new features. Sage 300 2017 introduces redesigned web screens that improve workflow and efficiency. Fields and controls on some of the most frequently-used transaction entry screens have been retooled so it’s easier to hide fields and functions that you only use once in a while. 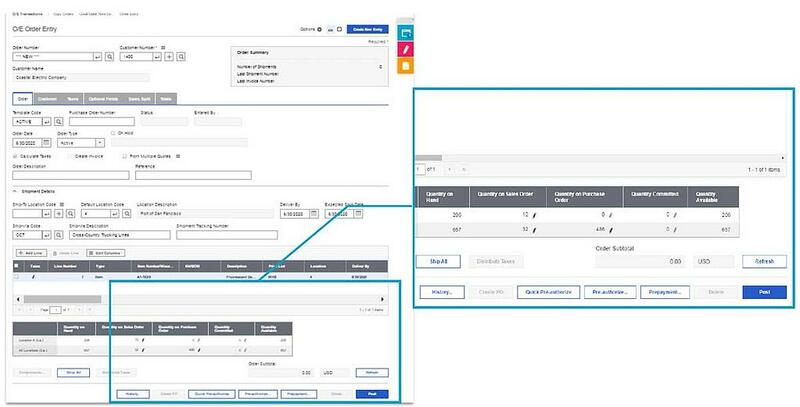 A variety of similar productivity-enhancing updates were applied to web screens in Accounts Payable, Accounts Receivable, and Order Entry so you see more data and scroll less often. In addition to the enhanced design of many of the existing web screens, several financial management web screens have been added for general ledger, A/R, and A/P, as well as completely new web screens for tax, bank, and administrative services (for user and security management). In both the web screens and the classic Windows screens, Sage 300 2017 introduces new Notes functionality for customers, vendors, and inventory items. On the web screens, a new Notes panel allows you to easily create new notes as well as edit, dismiss, or delete existing notes. In the classic windows screens, a new Notes button on the desktop allows you to add and manage notes. While somewhat similar to existing Comments functionality, Notes will automatically appear when you select a record that has a note assigned which offers better visibility and allows you to be more proactive. Sage 300 2017 features new screens and buttons that make credit card processing even faster and easier - including new Quick Charge functionality that will process payments with just one click. 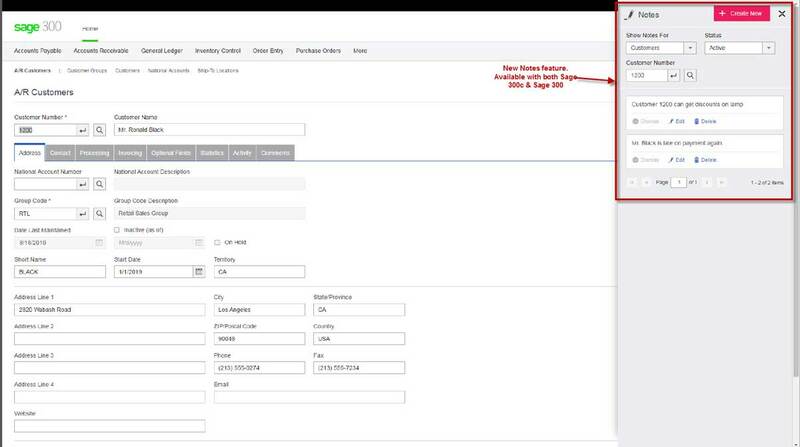 You can also select pending invoices for multiple customers where previously, it was only possible to process one customer at a time. In Order Entry, new buttons have been added that allow you to quickly pre-authorize or process payments with fewer tasks and keystrokes.